Here are some Hobbit movie pictures in HiDef, suitable for your Facebook cover, desktop wallpaper, Twitter page and more! Much better than those blurry screen captures from the trailer! Tags Featured HiDef Pictures J.R.R. 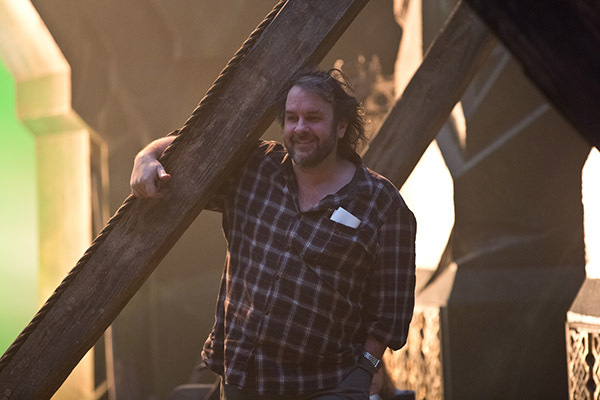 Tolkien Peter Jackson The Hobbit: The Battle of the Five Armies Warner Bros.
Steve, also known as “Rifflo”, is a University MBA Administrator in Ontario Canada where he lives with his wife, Lisa and two young daughters, Alexa and Ava. Steve has an extensive background in corporate sales. Steve also worked for ISAF: International Security Assistance Force and the Canadian Military as a recruiter in Human Resources for the operations in Bosnia and Afghanistan. When not immersed in Tolkien works,sci-fi, and film, you can find him training in Muay Thai, and Italian rapier.